In a highly competitive market it is getting harder and harder to find good deals. Most of the good deals listed on the MLS are usually in a multiple offer situation with the property selling for over list price leaving very little margins for investors to make any profit. What about short sales? Short sales are a very savvy way of finding discounted properties in your local area. For those that don’t know, a short sale is when the bank will take less for the property than what’s owed on it. The great thing about short sales is that you can virtually negotiate any price you want with the bank. If there is a strong hardship and the property is in need of some work the bank may be willing to take a bigger discount just to unload it off there books. The advantage to going after short sales is the lack of competition. Short sales can take some time to process which is why most investors don’t mess with them. The less competition there is on a deal the more of a discount you might get. 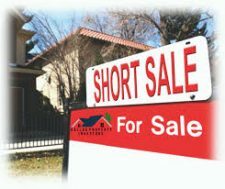 If you are an investor who is looking to buy multiple properties a year then short sales may be a good source for you. Even if your pipeline is full at the moment it’s nice to know that a short sale may process down the road. Make sure to be working on multiple short sales at one time. Usually 3 out of 10 short sales get accepted. If you are getting more than that accepted then you are probably offering too high a price. So it’s never good putting all your eggs in one basket depending on just 1 short sale to go through. chances are if you are only working on 1 short sale at a time you will not buy very many of them. You always want to have 5-6 short sales processing at any given time. In short, short sales can be a very lucrative path in real estate. The success rate is not very hight but the competition can be very low. If you are ok with waiting 6-12 months before getting an offer accepted then you should dive right into them.